A kindergarten teacher had decided to let her class play a game. The teacher told each child in the class to bring along a plastic bag containing a few potatoes. Each potato will be given the name of a person that the child hates. So the number of potatoes that a child will put in his/her plastic bag will depend on the number of people he/she hates. Did you see the Geminid meteor showers happened a while ago? This meteor shower occurs every year as the Earth passes through debris left from the asteroid while orbiting the sun. As soon as the debris from the asteroids comes in contact with the Earth’s atmosphere, they cause a flare and produce arcs of bright light across the sky. In case you missed them this time, do not worry. These showers are most likely to occur every year during December the same time when the planet passes through a trail of debris left behind by the asteroid 3200 Phaethon. Okay, okay! Enough of the scientific jargon. It's been almost nine months since the Redmi Note 5series premiered, and it's already time for an upgrade. The Redmi Note 6 Pro is now official, shaking up the lineup with one of the most recognizable and controversial features on the market - a frame-to-frame display with a notch. 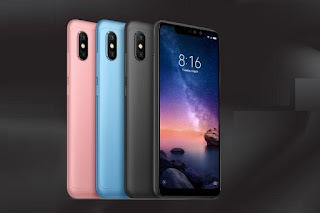 Xiaomi Redmi Note 6 Pro The phone comes with a 6.26-inch touchscreendisplay with a resolution of 1080 pixels by 2280 pixels. Realme 2 Realme 2 Price starts at Rs. 8,990. The lowest price of Realme 2 is at Flipkart. 2 is not available in other online stores. This phone is available in 32 GB, 64 GB storage variants. RealMe is a sub-brand of Oppo and the RealMe 2 is the successor to the RealMe 1. The smartphone is a budget offering that comes with decent improvements including a rear-mounted fingerprint sensor. The smartphone has narrow bezels and is ergonomically build. The smartphone features a big 6.2-inch HD+ display which is paired with decent viewing angles. Also, thanks to the HD+ resolution, the smartphone offers decent outdoor legibility. 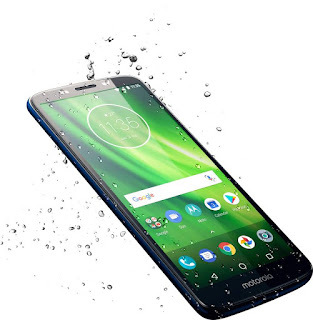 Moto G6 Play Moto G6 Play smartphone was launched in April 2018. The phone comes with a 5.70-inch touchscreen display with a resolution of 720 pixels by 1440 pixels. Moto G6 Play price in India starts from Rs. 11,398. The Moto G6 Play is a dual SIM smartphone that accepts Nano-SIM and Nano-SIM. Connectivity options include Wi-Fi, Bluetooth, USB OTG and 4G (with support for Band 40 used by some LTE networks in India). Sensors on the phone include Proximity sensor, Accelerometer, Ambient light sensor and Gyroscope. About Motorola Motorola Mobility was established in 2011 following the split of Motorola into two companies, with Motorola Solutions catering to the enterprise segment. Acquired soon after by Google, Motorola Mobility was sold to Lenovo in 2014. Motorola made its first Android smartphone in 2009, and its first Android tablet in 2011. Oppoappears to be readying another large-screen, mid-range smartphone with water drop notch display. The Chinese smartphone maker could release the Oppo A7X in China. According to the latest leak about the device, the smartphone will launch on September 20. After the successful launch of the Oppo F9 and F9 Pro in India, Oppo could be launching a new mid-range smartphone called the Oppo A7X. However, the device will launch primarily or even exclusively in China. 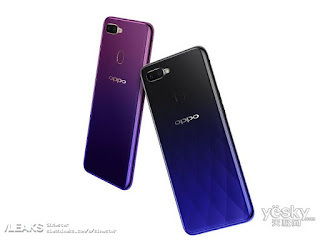 Interestingly, the virtual renders of the device appear very similar to the Oppo F9 Series devices with the horizontal placement of the rear camera and an accent around the same that also includes the LED flash. Moreover, the leak also offers some key specifications of the alleged Oppo A7X. Surprisingly, they match well with the Oppo F9.